An Insafe Under Counter Safe Box hides cash away reducing the temptation for till snatches or internal temptation in the retail sector. The cash is stored whenever the till reaches it’s limit keeping it secure until the cash is removed from the retail environment. Once in the Under Counter Safe the insert can be removed, still locked and secure, and taken to the cash office keeping the notes free from risk of exposure. By streamlining the cash handling process there are less interruptions to trading at each till point and the cashier doesn’t need to have access to the contents. Insafe also produce a range of Counter Safes which work in a similar way to our Under Counter Safe Boxes by keeping the cash out of the till and out of risks way. 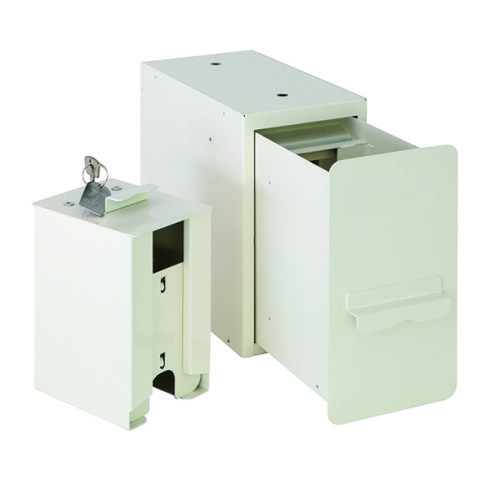 These can be fitted with key or electronic locking and include drawer or deposit slot access. Anti-attack devices specifically produced for securing money deposits and withdrawals.